4 Financial Challenges Your Entire Family Can Do Starting Today! This year we hope you enjoy monthly money challenges your entire family can do and save big. 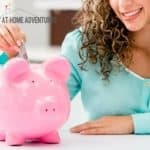 Family monthly money challenges are fun ways to save and make extra cash we have talked about them many times on this site, but we know that teaching your children about finances at an early age is essential. Have your family working together to better your finances is even better! 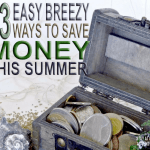 Back in 2015, I was passionate about saving money (still I'm!). Even now finding the best money challenges to keep me motivated into saving money is one of my favorite things to do. You see, saving money is important and having an emergency fund is a top priority. 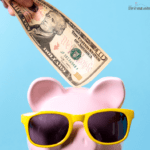 Everyone should have an emergency fund regardless of income and to not make this hard or tedious, a financial challenge can do the trick to help you get back on track. Is never too late to start saving money. You can start saving money right now with apps such as Digit. If you are ready to get this saving thing going, then I got the best family-friendly monthly challenges to help you and your family start saving big this year. Some people actually enjoy challenges, I know I do. When it comes to a challenge that benefits me financially, I'm in! Want to start having control of your finances? Whether you want to kill your debt or start saving, a financial challenge is a great way to start. A money challenge doesn’t have to be difficult, or extreme; it can be fun. Setting a goal and sticking to it might be the hardest part, but the rewards are worth it. The best money challenges are challenges that can be fun, challenging, and even kid-friendly. The point of these challenges is to focus on your savings by planning, budgeting and executing. Just like any other challenge. 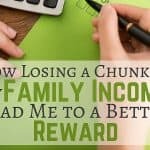 I searched the web and gathered what I considered the top monthly money challenges for you and your family with varying levels of difficulties. Some are hard, others easy, but all will have the same outcome to help you and your family save money. You know I'm going to start with this challenge since I spent my 2014 mainly talking about it every week. Though this challenge gets complicated as the weeks progress, it can be fun. 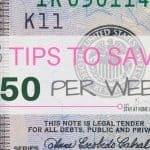 I wrote this 52 Week Saving Challenge in details here and is something that could work, but it takes a lot of planning. A quick overview of this challenge is that you start with week #1, and save $1. Then on week #2, you save $2, and so on until you reach week 52; in which you will save $52. The total amount collected will be $1378. You can also do this challenge in reverse and start at week #1 and save $52, week #2 save $51 and so on. Again, when you reach week 52 you will save $1 and your total will be $1378. Again, what is challenging about this is the high amounts you would have to save each week as the weeks pass, or if you do it in reverse; which makes the successful follow-through rate of this challenge is low. I read the book 21 Days Financial Fast, and though I wasn't in love with the book, I liked the concept of financially fasting for 21 days. What I love about this challenge is that it's only 21 days, instead of a full year and in those 21 days you are going to learn a lot about your finances and also about yourself. The principal of this challenge is to fast financially and only buy what you need. Food, Bills, rent/mortgage; no clothing, going shopping, nails or hair done, etc. When you purchase things, you must use cash. No credit cards or debit cards during the 21 days. This challenge might seem easy at first, but can you really go without buying something on impulse? Can you leave your credit cards at home, carry cash with you, and buy only what you need? This challenge requires you to evaluate yourself and your spending and use planning and budgeting to make it work. This is what I love about this challenge; it's not just about fasting, but about discovering, learning about yourself, and what's important. This 21 Day Financial Fast is doable if you are willing to go to the extreme. It might be a bit strong for the “weak,” but when there's a will, there's a way; and if you really want to get your finances under control, then you can do this challenge. You can also read and take this challenge from this book called 31 Days of Living Well and Spending Zero too! This is more of a spending freeze but done daily which I enjoyed doing. This is something that we do in our home with a medium size pickle jar we have located in my corner office. What I love is that everyone is involved, and we assign that money to be used for family vacation, staycation or special outings. How we do this is every time we all have loose change, it goes into the pickle jar. All change we find simply gets deposited there. Once the jar is full, we take it to our local bank and cash it. This jar holds about $120 and it gets filled about twice a year. The reason it doesn't get filled quickly is that we don’t use as much cash as we would like. What I love is that the kids are all included in this challenge. You can make this challenge any way you want, and if you want to get a big jug of water, that's fine too. We keep it small because we want our kids to get excited about it, therefore a jar that gets filled quick helps. The cons of this challenge are that the saving is not as major as other challenges, and is not as stable as other challenges either. Since you are only collecting loose change, and if you don't use cash often, you won't get to fill the jar as quickly as you would like. To some people, cash envelopes are the way to go when it comes to budgeting. For some of us, it's not. Before I even heard of Dave Ramsey, I had no clue what the envelope system was, or how it worked. Here's how the cash envelope system works: When you work on your budget, you create your categories. Write a category to one envelope. For example, if you have groceries as a category on your budget, write groceries on one of your envelopes. *Download these cash envelope templates to track your spending and save money! Place the money you budgeted into each category and used when needed. Once the money is gone from each category, it's gone. You can't take from another to replace the money. 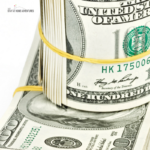 The cash envelope system is a great way to have control of your money. It's very detailed, and simple to follow. The cash system does work when done correctly. Using the envelope system gives you a constant reminder of how you are doing, and where your money is going. The cons are that some people don't feel comfortable carrying cash on them. It can be hard to keep track of spending if you use a spreadsheet. It's hard to remember to take your cash with you when you go out. It's difficult to keep track when you have two people using this system. We did the cash envelope as a challenge because as much as we disliked carrying cash and not being able to track it correctly on our spreadsheet (and yes, forgetting to take the envelope with you, etc. ), it worked. We saved money doing this system. I recommend doing this cash envelop challenge for a month, so you can see how it works and how much you will save. Then you can take your loose change, and place them in the jar! See!! There are tons of best financial challenges out there, we know this. The truth is that I've done these challenges and can tell you that they do work is why I mention them. Seriously, if you want to save I challenge you to take one of these challenges and see how much money you can save this year! What are your favorite best financial challenges you have taken? Do you have any tips for us when it comes to financial challenges? I personally love the cash envelope system, these are great ideas! Funny thing is I complain about it but its the best method that helps us save money! I just want to tell you that I am really looking forward to continuing to read your blog in 2015. We’re going to be doing the change jar and cash envelopes too this year. I’m excited to hear about your progress. I love your ideas! Thank you Lou! This means a lot to me. I look forward to what 2015 will bring with your blog as well! To 2015! Great tips! We haven’t used any of these challenges, but have some of our own saving strategies. We have $25 automatically pulled from our checking account into a special savings each week. This account pays for birthdays and holidays. When we’re done paying for a wedding we hope to implement some more strategies! What a great post. We are starting Dave Ramsey’s plan this year and he uses cash envelopes so we will be trying that this year. Thanks for linking up with Motivational Monday this week! Dave Ramsey changed my life! 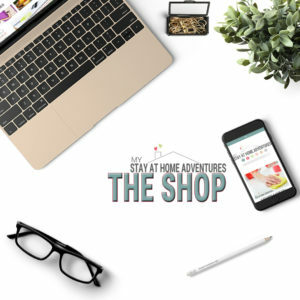 Thank you for hosting this awesome link party!